Aries is the first among the 12 signs, and this is why is the “Head” of the zodiac. They are ruled by the headstrong and determined Ram. The Sun visits this zodiac sign each spring during Aries season—which approaches around March 20-April 19. People belonging to this Zodiac are always high on energy, and there is something always going on in their mind. Aries is one of the most energetic among all zodiac signs. They love to do something or the other, thinking or without thinking. The spirit of Aries people shows up as confident, unstoppable, audacious, enthusiastic, heroic and caring. While, on the other hand, Aries can be prideful, self-centered, impulsive, bossy, stubborn, reckless and competitive. With all of their firepower and can-do attitude, there’s nothing an Aries can’t (and won’t) take on. Aries sign people like competition and can become selfish and domineering, at times. Taurus, the second sign of the Zodiac, are known for being trustworthy, practical, motivated and sensual. People born under Taurus Zodiac have a special love for all things beautiful and luxurious. They are quite efficient when it comes to money, hence, tend to be financially strong. Clever, aspiring, and trustworthy, Taurus is the anchor of the Zodiac. Amazing friends, partners, and colleagues, they value honesty above all else and are extremely loyal when it is about their relationships. But, if hurt or lied to, the anger and fury of a Taurus can get out of control. Bulls get the reputation of being stubborn and materialistic, but they’re not always stuck in their ways. Gemini is the third zodiac sign, originating from the group of stars of Gemini. Symbolized by the Twins, Castor and Pollux, people of this Zodiac are known for having two different sides which they can show to the world. Master communicators, Gemini is the chameleon of the Zodiac, capable of mixing into different groups based on the vibe and vitality they see. They are quite expressive and also quick-witted. Regardless of the situation, a Gemini will always be charming. They will grab your attention. A Gemini can brighten any dark, gloomy corner of your mind with their wit, charm, and words. Emotionally, intuitive and nostalgic, Cancer are extremely reserved and difficult to get to know, among all the zodiac signs. They are extremely sensitive, emotional, and think profoundly about issues of the family and their home. Cancer is caring and get extremely attached to the people they love. This is why they are rightly called the ‘Mother Of the Zodiac.’ Those who are born with their Sun in Cancer are extremely faithful and ready to understand other’s pain and suffering. However, they can get a little moody at times and even hyper-sensitive. They can be so much into their emotions and their comfortable shell that they can lose perspective on the reality of life. People born under leo zodiac sign are naturally born leaders. They are emotional, innovative, self-assured, dominant and own distinct charm. They are capable and daring enough to achieve what they dream, in their life. Their personality commands respect and appreciation, and they love every bit of the attention that comes their way. These individuals are determined and represent qualities like confidence, loyalty, and generosity. They are excellent orators and make great leaders and their excellent sense of humor helps them to collaborate with other people. However, they can be a bit dominating and have a massive ego. Virgo likes detailing, perfection and is extremely critical of things and people around them. They have a deep inclination for humanitarian causes. Virgo is smart, sophisticated, and kind-hearted. They are hard working and can get the job done without a glitch and with utmost perfection. This is a sign which is regularly misread, not on account that they cannot express, but because they won’t acknowledge their emotions as legitimate, genuine, or even relevant when opposed to reason. Virgo is virtuous, intelligent, responsible, generous, and optimistic but they should tone down their habit of being overly critical, at times. Libra loves balance in life staying true to the symbol of their Zodiac. They are hopeless romantics and hate being alone. Libra is great for making everyone happy. They are also blessed with boundless creativity. Even if Librans are working in a data-dominated field, their creativity shows them unique ways to see things. Clever, kind, and continually eager to put others before themselves, Libras desire for harmony in all forms. Ruled by Venus, the planet of magnificence, Libra admires an extravagant life or a life that looks great. They are most joyful and happy when they are amongst a big group of friends, family, and colleagues in office who they can count on. Scorpio is a strong-willed, secretive and mysterious sign. They know how to grab the limelight without any chaos, as they hold whatever it takes to achieve their goals. They have a magnetic charm that cannot be ignored. One of their major strengths is the ability to focus. If a Scorpio has decided on anything, it’s almost impossible to divert them from their path. They are passionate and unafraid to blaze their own trail no matter what other people think. They are extremely passionate and emotional, but they do not like showing them. If they are friends with you, they will give you the world, but if you happen to hurt them, then you will see revenge like no other. High on optimism and enthusiasm, Sagittarius is one of the most curious and adventurous sign among all. They have an open mind and a philosophical view which motivates them to wander around the world to meet new people and explore different cultures and avenues. Sagittarius are extrovert, confident and enthusiastic, and likes changes in every part of their life. Sagittarius can convert their thoughts into concrete actions and possess the grit to achieve their goals. They’re brave enough to dream the impossible and they are positive enough to believe that they have the ability to make all their dreams come true if they chase them with their utmost limits. Capricorn, the ‘Father Of The Zodiac’, represents discipline and responsibility. The most noticeable characteristics of the Goats, as they are called, are that they are goal-oriented, moderate, determined, practical and helpful. They make great group leader and coordinators, as they are determined and have a focused mindset on their work and they have awareness of others’ expectations. Capricorn are traditional and often very serious in nature. Individuals around them see them as workaholics, detached and unemotional. They are bosses of self-control and have the talent to lead the way, make firm and realistic plans, and cope up with many people who work for them at any time. But, they can be too serious, adamant and authoritative at times. They overthink and are quite pessimistic. Aquarius is one of the 12 signs of the zodiac. People born in between 20th January and 18th February come under this sign. 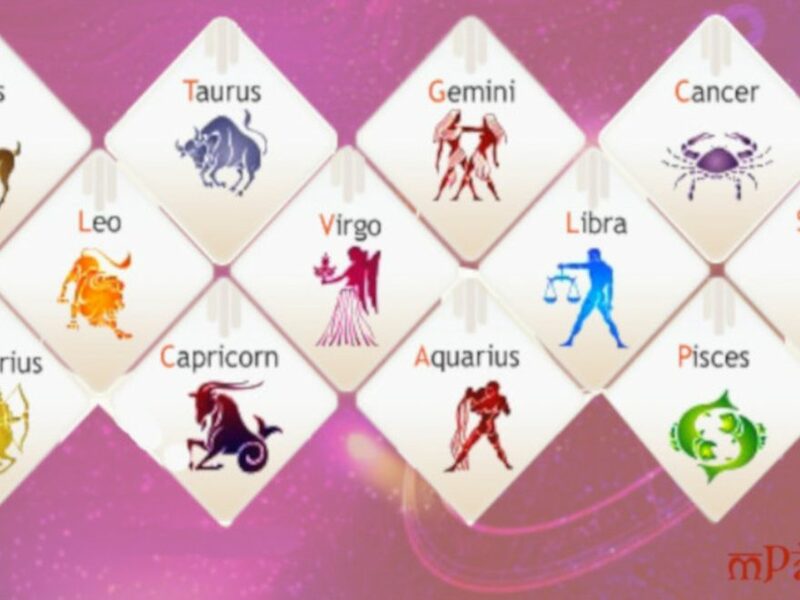 Aquarius are philanthropic and feel genuinely for social and humanitarian causes. Progressive and innovative, they are genuine truth-seekers. Being loving and caring by nature, they are quite popular and attractive. They love doing things that are out of the box and somewhat eccentric. They are deep thinkers and have a love for helping others. Aquarians are highly intellectual, independent, logical and excellent problem solvers. When it comes to romantic relationships, they come across as someone who are detached or unemotional, but, they are exceptionally good at maintaining friendships. People born under this Zodiac Sign are emotional, friendly and generous. They are loved by everyone around for their genuineness, honesty, and warmth. They value human relations the most and put the people they love above everything else.. Pisces are selfless and always keen to help others, without expecting to get anything back. Pisces is a Water sign and are rightly called the dreamers of the Zodiac. Their decision planet is Neptune, so Pisces are more intuitive than others and have a creative ability. On the other hand, they are too emotional and sensitive and easily get influenced by others. They live in their fantasy world and find difficulty in coming up with the harsh reality of life.